2018 is most certainly a dynamic year for TimeTec as we not only unveil, but also enhance our various Smart Solutions for the Workforce Management and Security Industries. From the launching of new products to the filling of new patents, let’s explore some of the spotlights as we progress through the year again along with FingerTec Biometrics. The new Face ID X is FingerTec most powerful facial recognition biometrics solution for your workforce management. What separates this device from the other products is that other than the 4 versatile clocking options included (Face, Fingerprint, Card, Password), Face ID X also supports a massive storage capacity of 30K face templates with 1:1 verification, 50K fingerprint templates, 10K card templates and a monumental 1 million transaction data; effectively making it a next level face recognition machine. 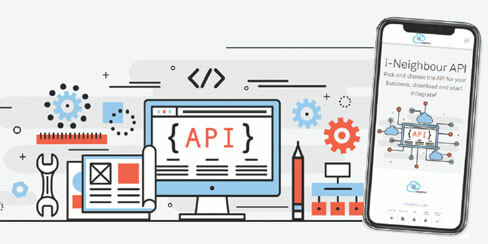 In early June, i-Neighbour has launched an Application Programming Interface (API) service, which will better enable third-party application developers to integrate with i-Neighbour. This provides a complete set of interfaces for companies to access their organization’s information via simple, powerful and secure application programming interfaces. TimeTec is a company that progresses leaps and bounds by tapping on the readily available technologies. Hence this year, we introduce the BLE Series within i-TimeTec and i-Neighbour to promote a smart workplace and lifestyle. 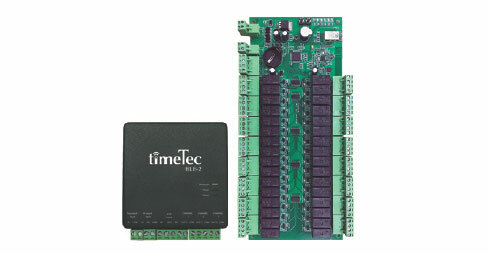 Labelled as BLE-2 and BLE-16 respectively, BLE-2 is a Gate Control Relay Board that acts as an intermediate between i-TimeTec or i-Neighbour and a door/barrier gate controller. 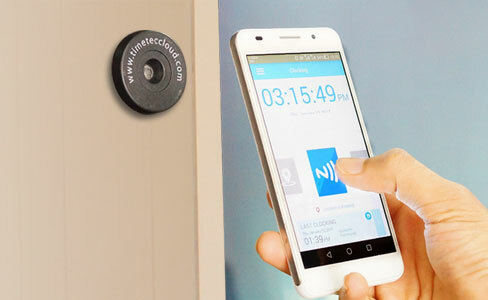 While for BLE-16, it is a Lift Control Panel which uses Bluetooth Low Energy 4.2 technology for lift access. On 8th March 2018, TimeTec has successfully acquired certification for one of the most important Information Security frameworks, that is ISO 27001:2013. With this in placed, TimeTec now has the freedom to expand and innovate, all while being assured that our clients’ data are safe and secured. In September, the i-Neighbour Team participated in the Cities 4.0 event. It is here where TimeTec decided to unveil our latest robotic assistant and that is TimeTec Hubot for visitor management in a neighbourhood. Our esteemed Prime Minister of Malaysia, Tun Dr. Mahathir Mohamad graced our booth and launched both i-Neighbour and TimeTec Hubot at the event. TimeTec was duly awarded with a Certificate of Membership during the MRCA’s monthly event that was held at Menara Maxis, Kuala Lumpur on 24th November 2017. 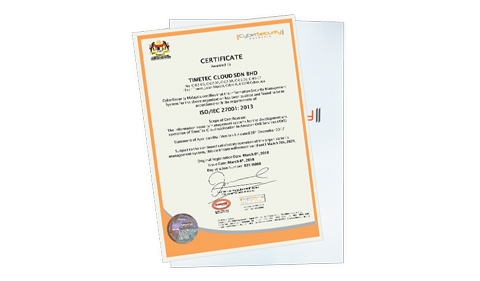 Hence, TimeTec is now an official Associate Member of Malaysia Retail Chain Association (MRCA). With this latest affiliation, TimeTec will now get to enjoy the many benefits of MRCA, such as attending the Monthly Meeting Event that is aimed to provide members of the association with “Enriching Talks & Business Presentations”.